$4,000 – Partners in Care, Happy Helpers for the Homeless of Annapolis, Meals on Wheels of Central Maryland – Anne Arundel County Program. $3,500 – Stanton Center/St. Anne’s Teen Program, Anne Arundel County CASA, Rebuilding Together. $3,000 – Food Link Inc.
$2,750 – YWCA of Annapolis and Anne Arundel County. $2,500 – Opportunity Builders Inc., Annapolis Maritime Museum, Maryland Veterans Trust Fund, Hospice of the Chesapeake Foundation, Opportunities Industrialization Center (OIC) of Anne Arundel County, Let’s Go Boys and Girls, Light House (Annapolis Area Ministries, Inc.). $2,000 – St. Mary’s – English as a Second Language, Box of Rain Foundation, Maryland Hall for the Creative Arts, Creating Communities Inc., Asbury United Methodist Church. $1,500 – First Presbyterian Church (STAIR Program). $1,000 – Leadership Anne Arundel, Isabel’s Gift, Ballet Theatre of Maryland Inc., Kunta Kinte- Alex Haley Foundation, Organization of Hispanic/Latin Americans (OHLA) of Anne Arundel County, Friends of the Maryland State Archives, The Annapolis Chorale/Live Arts Maryland, The Bay Theatre Company Inc., Oyster Recovery Partnership, Anne Arundel County Public Library Foundation. $539 – The Summit School. $500 – Bates Middle School PTA, Edgewater Elementary School, South River Federation. Now more than 90 years old, The Rotary Club of Annapolis sponsors the World’s Largest Crab Feast each year to raise funds to distribute to local organizations to improve the quality of life in the community. 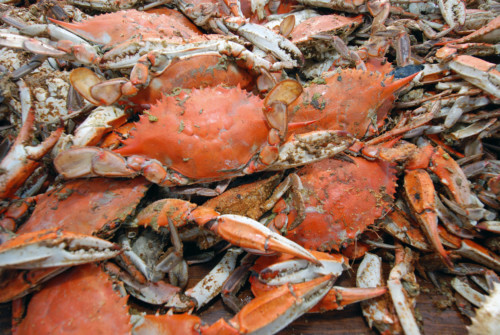 The 67th annual Crab Feast is set for Friday, Aug. 3, 2012, from 5 to 8 p.m. at the Navy-Marine Corps Memorial Stadium in Annapolis. Tickets are $60 for adults, $20 for children ages 3 to 12, and free for children under age 3. To purchase tickets visit www.annapolistickets.com, or call 1-877-333-9667 from 9 a.m. to 5 p.m. Monday through Friday. For ticket questions, please email [email protected].